A FREE Program! Good Morning Lake Tahoe Elementary Students! You are invited to SCORE* at the Lake Tahoe Ice Arena on school day mornings. WHEN 7:30 – 8:30 am school day mornings beginning Monday, September 10, 2018. This program is scheduled to run throughout the school year; however it is dependent on attendance. Always check the arena’s live calendar at tahoearena.co before coming over. WHO All local school students and their families. 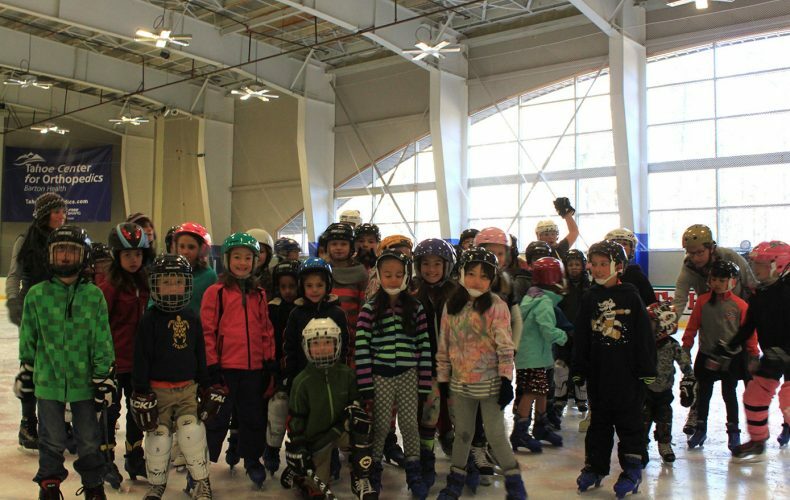 Parents are invited and encouraged to skate along! WHY Get your blood flowing, get some wiggles out, and be well prepared for a successful day of learning at school. SCORE Sports Community Outreach Recreation Education is a program of the non-profit Tahoe Youth Sports Association TYSA. Ice is donated by TYSA and the program is run by parent volunteers.